Handles are made from stainless steel, and are permanently attached to the body of the cookware with non-corroding rivets. 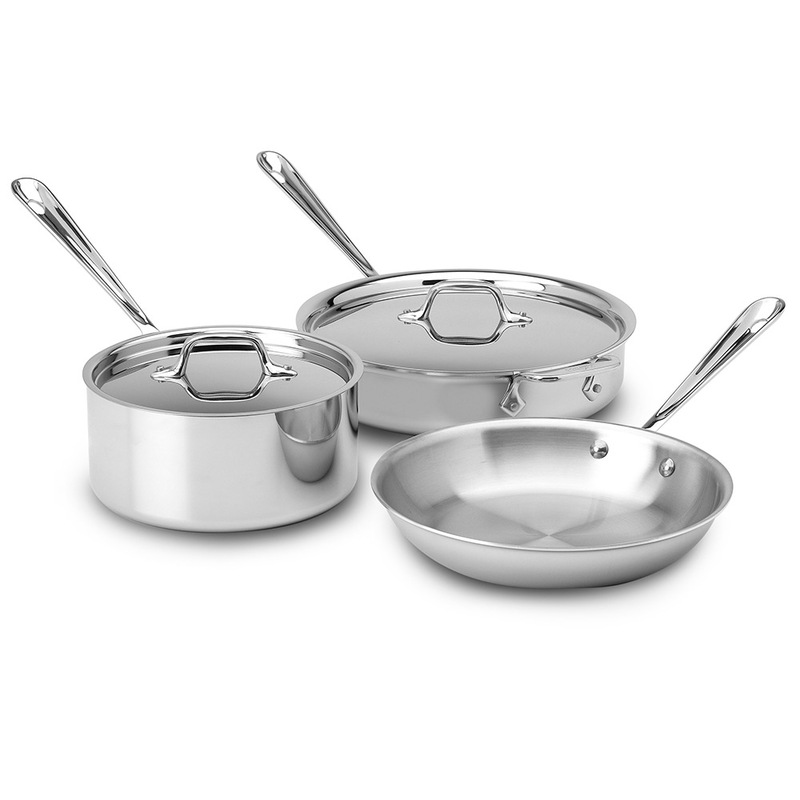 All-Clad cookware features stainless steel handles, which become very hot during use – especially when used in the oven. Make sure you use an oven mitt when handling hot All-Clad cookware. 26cm/2.8L Sauté Pan with Lid.